Life for marketing teams can be tough. At any given point in time, you might have paid search campaigns, paid social campaigns, email marketing programs, organic social media campaigns, content marketing campaigns and event marketing activities all underway. And the common expectation of the marketing team is that each of these channels will perform well and deliver the leads and the customers the business needs to survive. It may not be fair, but it is reality. And if you’re a part of a marketing team today, it is your reality. But what can you do? Are you just crossing your fingers and hoping you and your team can get it all done and it will deliver as needed? That’s probably not working. As the old saying goes– hope is not a strategy! Perhaps you’ve heard of this thing called Agile Marketing. But you don’t really know what it is. And, from what little you do know, you’re not sure how it works or if it could even work within your marketing team. My goal in this post is to introduce Agile Marketing and show you how Agile Marketing can help you handle your biggest marketing challenges. Agile Marketing has the ability to bring structure with flexibility to a marketing organization. And for today’s marketing teams, this is exactly what’s needed. As a marketer, you need a way of processing and handling the volume of work that you’re being asked to complete. And you need to do it within the constraint of the personnel and budgetary resources you’ve been provided. In short, Agile Marketing can help you and your marketing team reign in the wild and complex and make it simple and more manageable. Agile Marketing is NOT a way to cram more work into the marketing pipeline. This is a common misconception among organizations just starting out with Agile Marketing. Usually a person higher up within the organization hears about the processes used in Agile Marketing and believes that they have found the right way to simply “get more done.” Instead, Agile Marketing is about making informed choices about what to work on. You use Agile Marketing to cut through the clutter and choose those activities that will have the greatest impact on your marketing goals. If cramming more work into the pipeline (without considering the tradeoffs) is why you are considering adopting Agile Marketing, do yourself a favor– don’t do it. Agile Marketing is NOT an updated form of project management. Traditional project management is focused on building a schedule of tasks that are to be completed in sequential order. This is commonly called “waterfall” and it places a great deal of control in the hands of the project manager. This is the exact opposite of what Agile Marketing is designed to do. Agile Marketing is focused on having the marketing team take control of the work to be performed and planning it out in small two or four-week increments as they best see fit. Agile Marketing is NOT a cure for all the organization’s ills. While Agile Marketing can do a lot of things, it cannot overcome a lack of business direction, unqualified/incompetent team members or a lack of resources. Agile can help bring some of these issues into focus, but solving them is outside of the power of Agile Marketing. Sprint Planning. This is the time where the team plans the work that it needs to complete in the next 2-4 weeks. 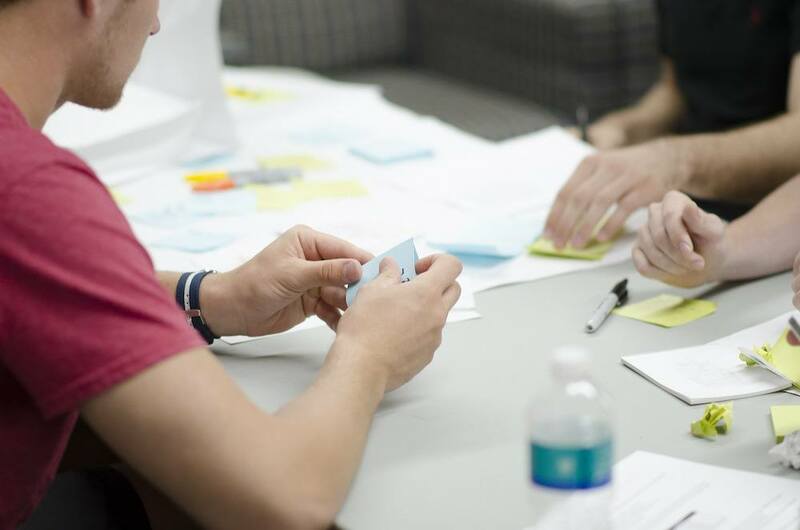 The primary tool in the sprint planning phase of Agile Marketing is the marketing backlog. Think of the marketing backlog as the large “to-do” list of all the marketing campaigns and marketing needs you and your team have been asked to accomplish. Sprint. The sprint is the period of time where your team focuses on the work to be done as it was planned out in the sprint planning session. This is where the real benefits of Agile come into view. By focusing exclusively on the work to be done, free from any other distractions, the marketing team is able to quickly deliver powerful and valuable marketing campaigns and elements that are ready to be deployed right away. Sprints usually run for either 2 or 4 weeks. The determination is based on the preferences of the team. Sprint Review. In this activity, the team is focused on reviewing its performance during the sprint it just completed. The goal of the sprint is very simple: identify what work you completed and which items are incomplete. Using this information, you’re able to plan for your next sprint so you can stay focused and on-task to complete these items (if they are still needed). Sprint Retrospective. In this final activity, the team is focused on evaluating the process it used to accomplish the work in the sprint. Did the daily huddles help or hinder the work? How was the team’s communication? Did we document our sprint plan and learnings so we can refer back to it in the future? The retrospective is all about finding ways to improve the process so we can achieve better results in the future. These descriptions only scratch the surface of how to work in an agile way. But they can provide valuable insight into the concept of Agile Marketing and helping you determine if this is the best next step for your marketing team. Is Agile Marketing Right for Your Marketing Team? Team dynamics. Is your team tightly connected? Do you enjoy working with one another? Do team members respect each other as professionals? Agile Marketing is focused on having the team take ownership of the marketing work to be done. If the team cannot function well because the team members do not get along, you will have a hard time adopting Agile Marketing. Clear direction. Does the marketing team have clear direction on the team’s role within the organization? Does the team know how its efforts impact the bottom line of the business? Has the team been given authority to develop and execute marketing campaigns as they see fit? If you’re interested in adopting Agile Marketing, you need to be able to clearly answer ‘yes’ to each of these questions. Team member skill levels. Are the members of your marketing team proficient in their respective areas? Are they able to work independently and complete their work without being told what to do next? Are they able to take constructive criticism from fellow team members? Are they willing to be held accountable for the decisions they make and the actions they take? Agile Marketing teams move very fast and you must have team members that are mature both personally and professionally so they can work within a team dynamic. Open communication. Is the team comfortable with everyone knowing what they are working on, how things are progressing and what is contributing to any failures? Agile Marketing is conducted out in the open. Daily huddles, scrum boards and planning/review meetings are just a few of the tools Agile Marketing teams use to track progress and deal with small problems before they become large ones. If team members are not comfortable working in full view of everyone else, they will struggle and that, in turn, will hurt the team’s effectiveness. An Agile champion. Do you have someone within your organization that can serve as a champion to the rest of the company for your Agile Marketing efforts? In many respects, Agile Marketing is counter-cultural to the way most organizations operate (though Agile is quickly working its way into many parts of organizations today). As a result, the organization may not view your Agile efforts as positively as you might. Identifying a champion, especially within the senior ranks of your organization’s hierarchy, will do a lot to smooth the path towards adoption of Agile Marketing within your team. Tracking time (or effort). Does your team currently estimate and track its time in relation to the tasks it has to complete? In order to properly plan your work during the sprint phase, you must have the ability to estimate time or level of effort. If your team is not currently familiar with these concepts, it doesn’t automatically disqualify your team from getting started with Agile, but it does mean you face a tougher road to adoption. Those teams that already estimate time or effort typically find it easier to plan their work and look for ways to increase their overall velocity because of their familiarity with the concepts. Are You Ready to Get Started with Agile Marketing? I’ve had the good fortune to work with several clients to help them on their journey of implementing Agile Marketing. The adoption process wasn’t always smooth and there were times that they questioned whether or not the direction was truly the right one for them. But in the end, they found benefits that they never would have reaped using traditional methods. If you’ve considered the above points in light of your team and are ready to take the plunge, let’s talk. And if you’re already underway with implementing Agile Marketing and needs some help, reach out and let’s discuss your situation. Agile Marketing is a wonderful way to bring order and focus to your marketing team’s efforts and I’m confident you won’t regret the decision to go forward! 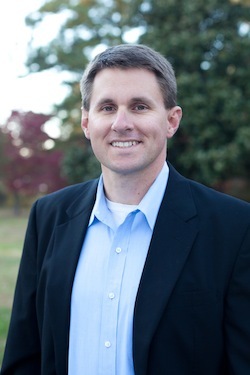 As the founder of Dijital Farm, Jon Parks builds sustainable inbound digital marketing strategies for B2B companies. Jon has also been an Agile Marketing instructor since 2014. 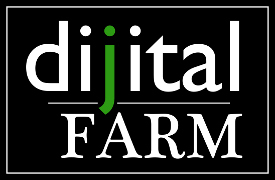 Read Jon’s latest thinking on the Dijital Farm blog and contact us to learn how Dijital Farm can help your business. Agile Marketing is being adopted everywhere these days. But is Agile Marketing right for your team? Here's how to tell if Agile Marketing is right for you.